The Chevrolet Silverado HD comes to Australia in Right Hand Drive through American Vehicle Sales. Fitted with the trustworthy Duramax Diesel and bulletproof Allison 1000 series automatic transmission. Tow up to 10,800kg with ease with a fully Australian Compliant vehicles. Available for both car and truck class license. Tow safely, tow with Chevy. First and foremost, the new 2017 Chevrolet Silverado Duramax V8 diesel features a number of upgrades. These are largely based around the new high output engine. 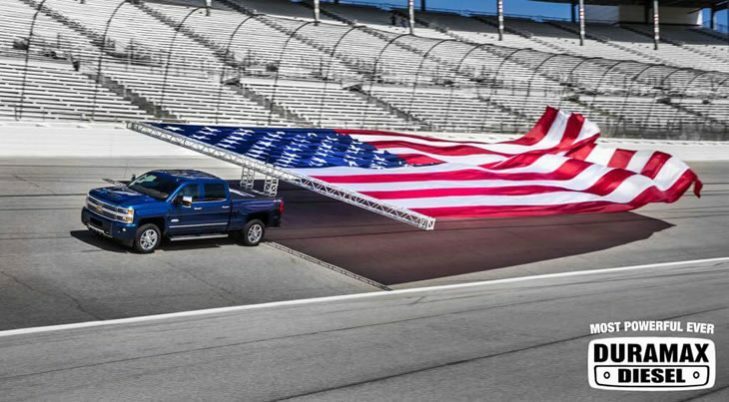 This new Chevrolet Silverado Duramax engine delivers more power, quieter running and increased efficiency than before. The upgraded Silverado Duramax engine includes upgraded pistons, crankshaft, rods, heads and turbocharger. This further bolsters the reliability and power associated with the Chevrolet Silverado name. One instantly visible upgrade on the Chevrolet Silverado is the new bonnet scoop. This scoop draws over half of the air through a new patented air intake. In-turn providing a cooler intake temperature, increasing efficiency and further reducing turbo lag. Behind the new diesel engine is the ever reliable Allison transmission. It has also received upgrades in the form of a new torque converter and minor refinements to ensure the transmission handles the power that the new Chevy engine delivers. Adding to our over 20 year heritage of being a family operated supplier of Chevrolet trucks to the Australian market. American Vehicle Sales continue to supply fully Australian Compliant vehicles, manufactured under a strict ISO Quality system and come backed with a 7 year/250,000km nationwide warranty. Major changes are involved in the right hand drive conversions. It’s not just a matter of swapping a steering wheel over. Our right hand drive processes begins with the removal of the vehicles interior, along with the front end sheet metal, radiator and headlamps. As well as grille and bumper. As each part is removed it is safely stored in a protective, purposely designed storage system. The foundation of the Chevrolet Silverado HD lineup is a fully boxed steel chassis. This chassis uses large cross section, high-strength steel in key areas to provide one of the most stable and durable platforms available. The stiffness of the frame contributes to improved handling and ride comfort, while the strength of the frames enhances payload and towing capability. The 2500 Silverado can provide up to 1,300kg on a car licence compared to Dodge Ram at just 945kg. Add front towing hooks, tubular cross members, multi-leaf rear suspension and adjustable front torsion bar suspension – the Silverado is ready to work. 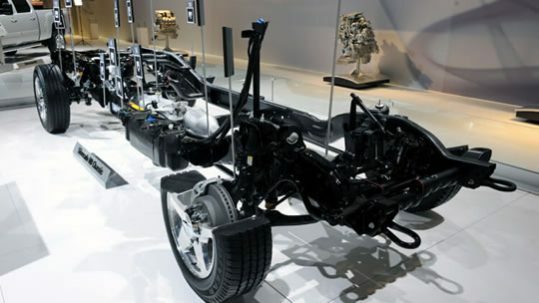 The Chevrolet Silverado’s independent double wishbone front suspension system offers a car like ride quality, the optimum in handling while maintaining front end durability for harsh off-road conditions. The Chevrolet Silverado continues its partnership with the Isuzu designed 6.6ltr V8 Duramax Diesel engine and the Allison 1000 series 6 speed automatic transmission. The Duramax diesel produces an impressive 331kW and 1,233Nm of torque. With variable geometry turbocharger providing boost without turbo lag and a factory standard best in class exhaust brake fitted to help control heavy loads – much the same as in a full size heavy truck. The Allison automatic transmission comes equipped with the Tow Haul mode. 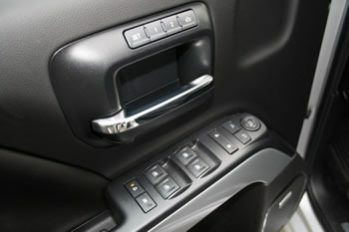 This unique system has the transmission shift adapt to better perform under heavy conditions as well as automatically gear down when headed down a hill or while braking. 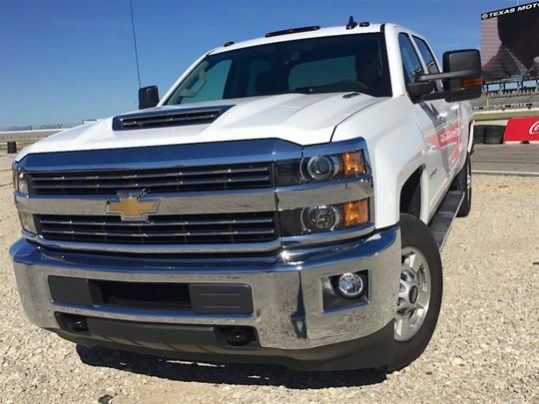 Duramax diesel Chevrolet Silverado’s allow the driver to engage the available diesel exhaust brake, which uses the variable vanes in the turbocharger to smoothly and quietly create additional back pressure in the engine, to slow the vehicle. The combination of the exhaust brake and the automatic transmission downshifts helps the driver maintain the desired speed, even on long, steep highway downgrades. 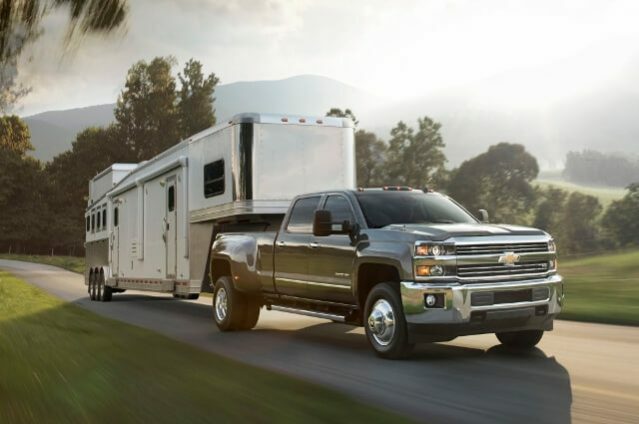 StabiliTrak Trailer Sway Control is now standard on all Silverado HDs, including 3500 Dual Rear Wheel models, providing additional security to the drive. Also, Hill start assist keeps the truck stationary for a few seconds after the brake is released, which gives you time to move forward before rolling occurs. The Chevrolet Silverado Heavy Duty range is available in a range of configurations. These include 2500, 3500 Single rear wheel and 3500 Dual rear wheel. The 2500 series trucks can carry up to 1,350kg on either a car or light truck license. Providing a 4,500kg tow bar rating and a 5th wheel rating of up to 7,700kg. The 3500 series single rear wheel trucks can carry up to 1,850kg on a light truck license. Dual rear wheel carry up to a whopping 2,400kg and a 5th wheel tow rating of up to 10,250kg. For detailed information about trailer ratings, carrying capacities and the equipment required to achieve the ratings. Please contact our sales team. 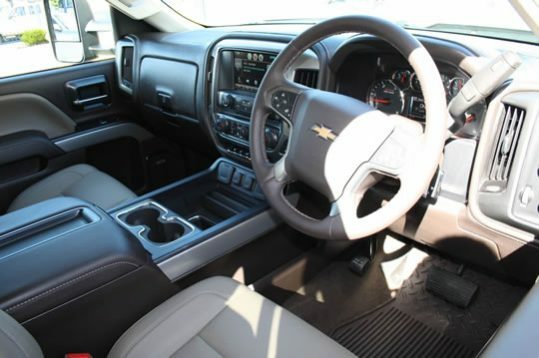 Building on the list of features, the Chevrolet Silverado LTZ comes with a range of standard interior equipment. This includes front bucket seats with full power adjustment, seat heaters (optional coolers), dual zone climate control, hand stitched leather dash and front and side air bags. Plus Bose surround sound system and even power adjustable pedals for short and long legs to name a few. Furthermore, there are a range of options available. After all, its about the comfort. These options include, but are not limited to; the driver alert package, lane departure warning and forward collision alert. An available power tilt and slide sunroof comes with an internal shield to close in the roof on hot days. 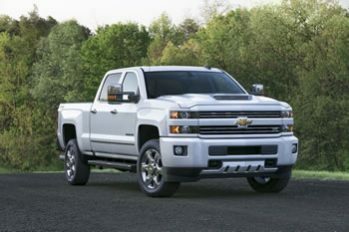 In essence, a Silverado can be optioned to suit your tastes and desires. The Chevrolet Silverado is available in a wide range of exterior colours. In addition to the broad range of colours, there is a choice of three interior schemes. All things considered, the Silverado is all about choice. Please contact our friendly sales team for further information.